Wednesday was a red letter day for me. Bruce Coe submitted his PhD thesis for examination. 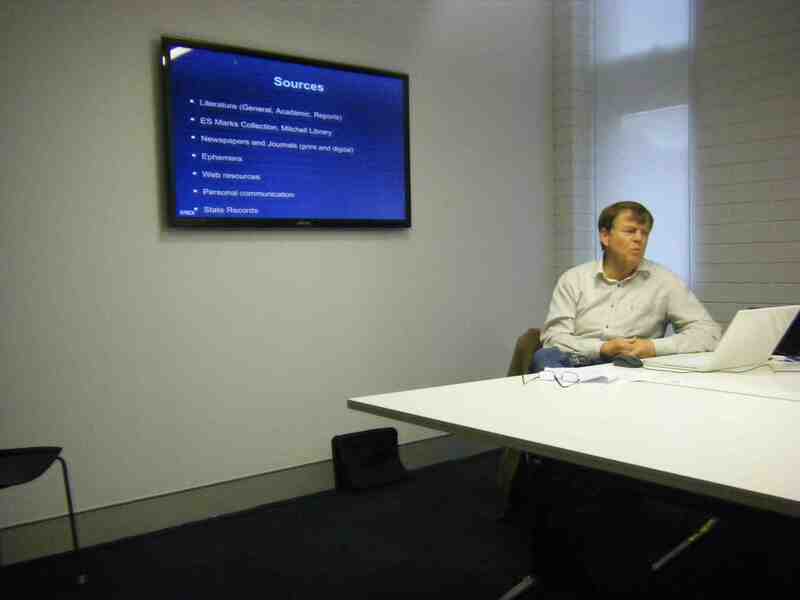 The title of his thesis is ES Marks and His Contribution to Australian Sport. Robin McConnell and I have worked with Bruce over the last two years and we have been intrigued constantly by the unfolding story of a remarkable volunteer in the formation of Australian sport. In an age when we lament the disappearance of volunteers and voluntary associations I think Ernest’s story makes for compelling reading. Once the examination process has been completed I hope to work with Bruce to write more about Ernest. 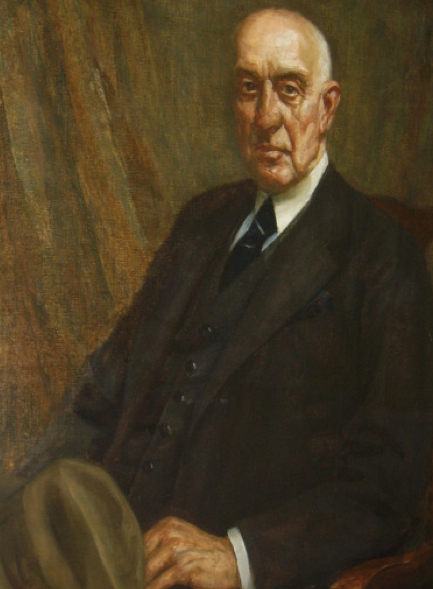 This thesis presents a chronological study of the life of Ernest Samuel Marks, a proudly Jewish man who was universally known as a champion of amateur sport in Australia, a highly efficient administrator in many sports and a long-serving alderman, and sometime Lord Mayor, in the City of Sydney, who, over half a century since his death, has been largely forgotten. Ernest Marks was a man who found the time and energy to devote to his love of sport, to public service, to patriotic work and to charities, to history, to communications, to business and to his faith. He was a man who for sixty years was an exemplar for volunteerism through his multifarious unpaid activities within and without the world of sport. As an administrator, Ernest Marks contributed to the modernisation of sport in Australia from predominantly locally-based games to that where activities and competitions were well organised and this nation had become a significant player on the international sporting stage. This thesis celebrates his story and, in the words of John Ritchie, a former General Editor of the Australian Dictionary of Biography, ‘rescue [s] and restore[s] a comparatively unknown person to his … rightful place’. I believe that by sharing the story of the life and times of Ernest Samuel Marks which hitherto had been forgotten, under-estimated, misrepresented, confused or ignored, this thesis has added to the body of knowledge of those who have contributed to Australian sport. In the process, I believe that I have also been able to underscore his profound sense of civic responsibility. I was fascinated to read John Carmody’s account of War and Brotherhood in The Australian on 23 April. 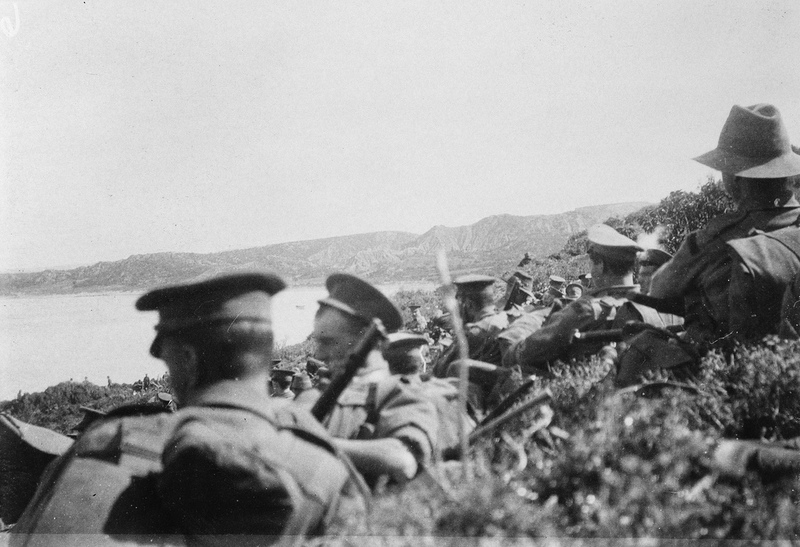 He wrote about two remarkable men, Clegg Kelly and Paddy Moran and their paths to Gallipoli. The men never met — other aspects of their lives made that unlikely — but their stories are endlessly fascinating and, when set side by side, have much to tell us about their times. They were born in Sydney within a few years of each other, were astonishingly accomplished sportsmen — Moran captained the first Wallabies team to tour Britain — and were highly creative personalities. Kelly played the piano superbly, composed music and was a vivid diarist; Moran wrote a book, Viewless Winds, about his war experiences. In very different ways, both found themselves at the 1908 Olympics in London. It was a treat to hear John Carmody discuss this story at length with Phillip Adams on Late Night Live a few days after John’s account appeared in The Australian. As Phillip Adams points out this is a story that trumps Chariots of Fire. Clegg was educated at Sydney Grammar School, Eton and Oxford. He was “an accomplished pianist and a brilliant oarsman” and won the renowned Diamond Sculls at Henley in 1902, 1903 and 1905. His time in 1905 stood as a record until 1938. Paddy was educated at Darlington Public School, St Aloysius’ College and, St Joseph’s. He studied medicine at Sydney University, graduating in 1907 and later acquiring a master’s degree in surgery. He played virtually no football at school “and began seriously only when he was shamed into it for being “slack” when a third-year medical student.” Within a few years he was captain of the first Wallabies team to tour Britain. 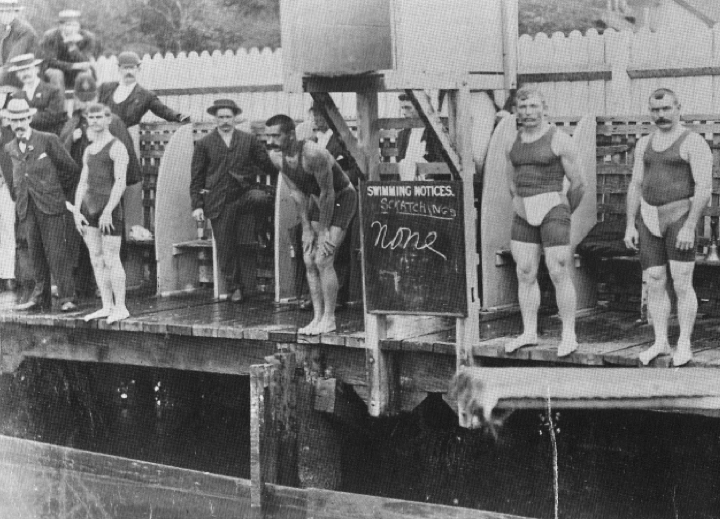 Clegg and Paddy competed at the 1908 Olympic Games. Both of them fought at Gallipoli … and survived. Clegg was wounded there and was awarded the DSC. Kelly was repatriated to Alexandria where, during his recuperation, he completed a beautiful piece for string orchestra, Elegy: In Memoriam Rupert Brooke, which he had begun during the fighting. By March 1916 he was back in London on leave but was serving in France in May. He was still revising that Elegy when he was killed at the very end of the Somme campaign in France on November 13, 1916. Moran returned to Britain after six months in the Dardanelles and was promptly posted to Mesopotamia. 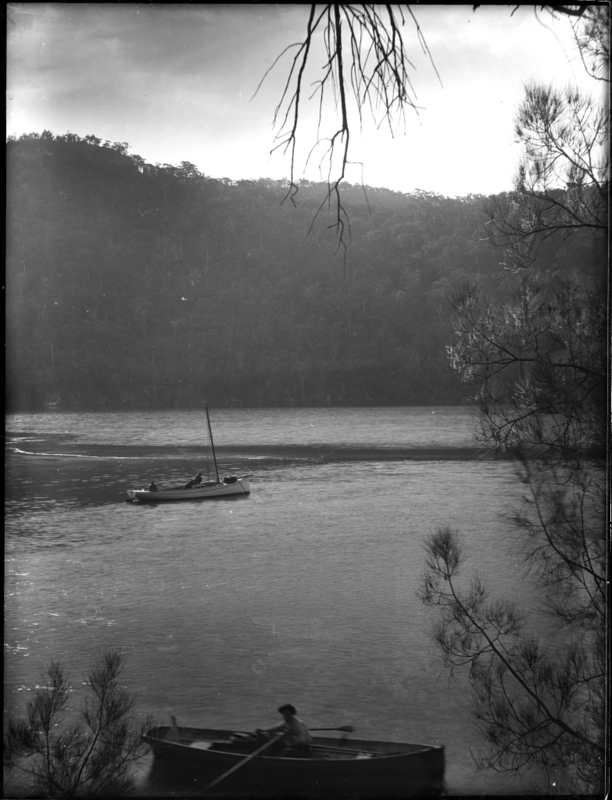 He survived the war and had a distinguished career in Sydney as a surgeon and pioneer cancer radiotherapist only to succumb to melanoma in England in 1945 after service throughout World War II as a lieutenant-colonel. In 2011 Clegg’s music will be played at the Canberra Music Festival. This post on the Festival website provides much more detail about his musical career. His Elegy for String Orchestra was composed in memory of Rupert Brooke, his close friend and fellow naval officer, who died in Kelly’s presence on the island of Skyros in 1915. (BBC Radio 3 played the Elegy immediately after the coverage of the 2010 Remembrance Service in London.) John Carmody (1983) has written Clegg’s biographical entry in The Australian Dictionary of Biography. Clegg’s papers are held at the National Library of Australia and they include his diaries from 1906 to 1916. G P Walsh (1986) has written Paddy Moran’s entry in The Australian Dictionary of Biography. The entry observes that “Moran had a notable surgical career; his great interest lay in cancer research and the then new use of gamma irradiation through the medium of metallic radium. In this he was far ahead of his time and he travelled widely, published in journals and studied and lectured in many parts of the world.” This is a reference to the Herbert Moran Memorial Lectures. John Carmody holds Paddy’s literary works in high esteem. These works include Viewless Winds (London, 1939), Beyond the Hill Lies China (Sydney, 1945) and In My Fashion (London, 1946). The Late Night Live discussion of Clegg and Paddy’s lives is a wonderful exploration of a social world of connections forged by two remarkable people. Listening to the interview and reading the article so close to the ANZAC Day was a particularly powerful and memorable experience for me. Bruce has pointed out too that Paddy Moran did not play in the Olympic match (there was one match in the Tournament) due to injury. 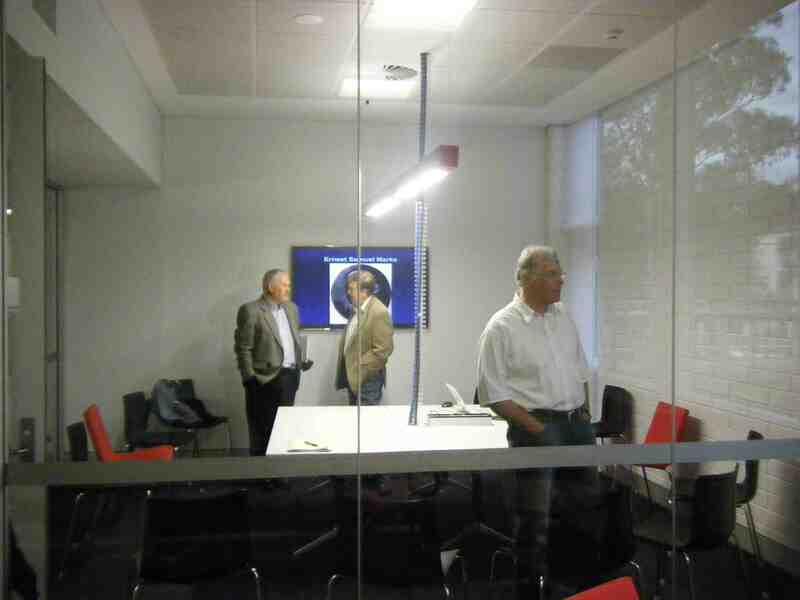 There was an opportunity this week to meet in the University of Canberra’s Teaching Commons. The occasion was Bruce Coe‘s upgrade seminar. Bruce has been researching the life and times of Ernest Samuel Marks and with encouragement from his supervisors (Robin McConnell and me) he is seeking to register for a PhD from his Masters by Research. To make this transition the University requires that a candidate present an upgrade seminar that is open to peer review and is assessed by two assessors. At present the Commons works on a ‘first in, best dressed‘ system where users of the space access available space. We found a great room with a presentation screen. On 2 December 1947, E.S. (Ernest Samuel) Marks died in Sydney, in his seventy-seventh year. Two days, later a 500-word obituary appeared in The Sydney Morning Herald stating that Marks was ‘a notable figure in Australian sport’. Later in the obituary, it was opined that Marks ‘probably did more for amateur sport in Australia than any other man’. Despite this acknowledgement, there is virtually no detailed account about Marks in the sport history literature. There has been too little consideration of the role of officials in shaping sporting institutions. The influence of some administrators has in some instances been immense. Whereas the playing careers of élite performers often do not extend much beyond a decade or two, some officials have dominated, and virtually run a sport for three to five decades, acquiring a substantial power base in the process. During an extended period of office an administrator can become a powerful figure in a sport, a position enhanced by political, social and media connections. 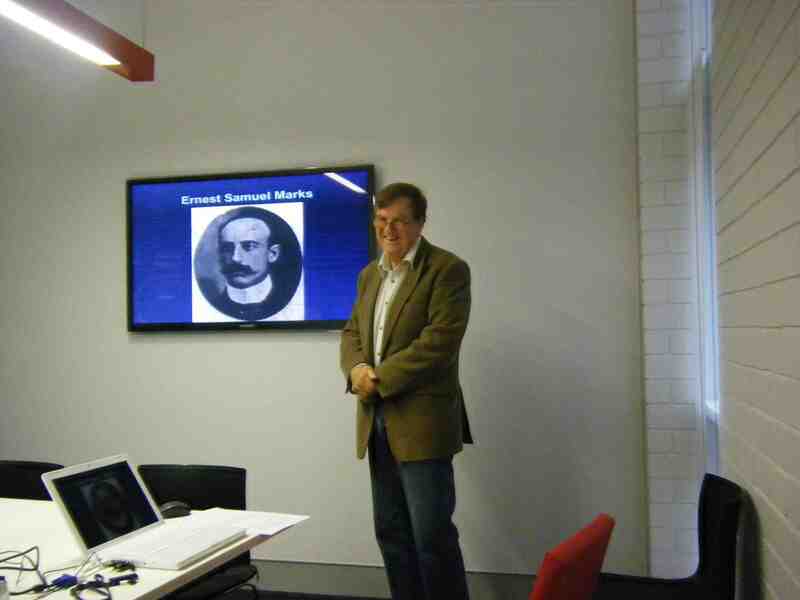 Richard Cashman identified Marks as one of a dozen influential administrators of amateur sport in Australia and documented their service to the shaping of various sporting institutions. Marks’s sixty years of giving to sport resulted in a ten-line summary. Bruce’s work seeks to extend this evidence through a painstaking study. This is a copy of his slide presentation in his upgrade seminar ES Marks.